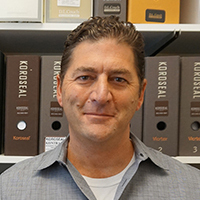 Vincent Santomero, Jr. is President and Owner of VS+CO Corporate Finishes, Inc. Vince began his 25 years of service in 1989 as an Estimator, and Design and Project Manager. He was named Vice President in 1999; Partner/Principal in 2004; and Partner/Principal/50% Owner in 2009. During this period, Vince established himself as the go-to person in the construction and design industry’s finish trade. Earlier in his career he was with the Kinney Corporation as a Design and Draftsperson for its Commercial Interiors Group, where he was also involved in space planning, finish specifications and project management. During that time, Vince created designs for the nationwide rebranding of Foot Locker, Champs Sporting Goods and various Kinney Corporation properties. His very first industry experience was as a Draftsperson for Acheson Thornton Doyle Architecture in New York City. Vince holds a B.A. in Psychology from The Catholic University of America, where he was a Dean’s List student. He completed his post-graduate studies with excellence in the Architecture Program at Columbia University and the Design & Drafting Program at The School of Visual Arts in New York City. Vince, his wife Julie and their five children reside in Wilton, CT. They maintain a strong involvement within the community, enjoying various volunteer and fund-raising opportunities. For eight seasons, Vince also coached Catholic High School Athletic Association (CHSAA) varsity football at his alma mater, Fordham Prep, in the Bronx, NY, and has continued to coach with the Wilton Youth Football and Fairfield County Rugby programs. Donna Novotny is Controller for VS+CO Corporate Finishes, Inc., where she’s responsible for supervising the quality of the company’s accounting and financial reporting. She joined VS+CO in 2000 and has been with the company for 14 of the 25 years she’s been in the field of construction accounting. Donna is a graduate of the Sacred Heart Academy in Stamford, CT.
Donna’s financial reporting responsibilities include cash flow and financial project analysis. In addition, she manages and analyzes Business Insurance, Health Insurance, and Wages & Benefits. She is also technology-oriented and is responsible for the implementation of all computer hardware and software for the company, ensuring that VS+CO remains at the forefront of our progressive construction industry. 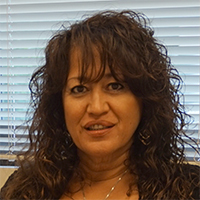 Donna is a highly motivated accounting and administrative professional with superior organizational skills. She is particularly adept at multi-tasking and prioritizing. In her spare time, Donna and her husband are motorcycle enthusiasts who spend their weekends riding through scenic venues in Connecticut and New York. Jay Pihonak has been Superintendent for VS+CO Corporate Finishes, Inc. since September 2012. In this role, he’s responsible for supervising employees; planning, scheduling, organizing and directing our projects; training personnel on safety and ensuring compliance with the Occupational Safety & Health Administration (OSHA) standards; monitoring projects for quality and compliance in all areas; ordering supplies; and developing comprehensive submittal packages for all new project work. 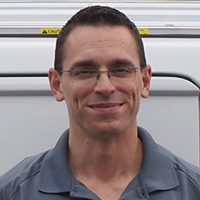 Jay is a graduate of Masuk High School in Monroe, CT. He’s also certified as a sales representative with Sherwin Williams University and Benjamin Moore; and is a member of the Painting & Decorating Retail Association (PDRA) and the Green Builders Association. Jay’s love of painting began when he was 14 and worked for his uncle in Westport, CT. Before joining VS+CO, he spent five years at Ring’s End in Stamford, CT, where he was Store Manager starting in April 2007. Jay’s wide-ranging responsibilities included management of store-level operations such as staff hiring, training, evaluation and work schedules. He was also charged with merchandise and product-quality research, selection and presentation, customer service and problem resolution. Prior to Ring’s End, Jay spent five years as the General Manager for Painter’s Supply, where he assumed management of an underperforming satellite store and restored sales and customer service to healthy levels. Jay managed over 40 employees; helped set up buying shows for store contractors; merchandised all major orders and slow-moving stock to ensure constant inventory turns; changed end-cap displays for freshness and seasonality; and oversaw two store remodels, including the design of floor plans, grand openings and initial customer sales. Jay, his wife and son are ardent outdoor enthusiasts and lifelong residents of Stratford, Connecticut.